Smoothfoam balls make perfect apples with just a little bit of slicing and carving. 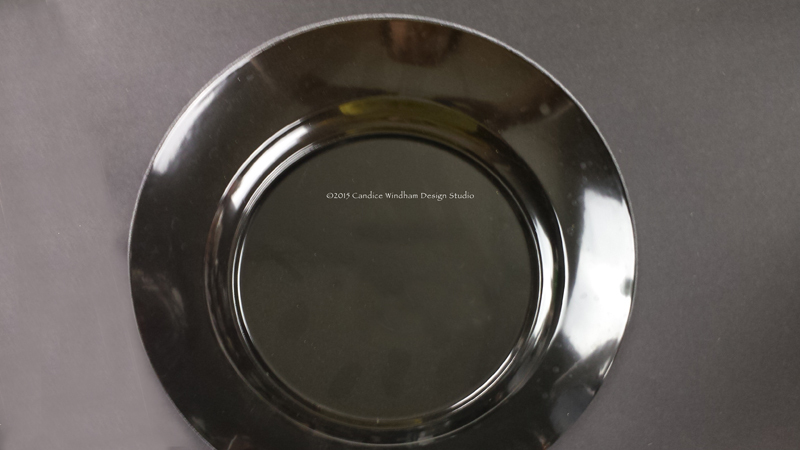 This project took less than two hours from concept to completion, so it’s easy to make and pretty to look at! 1. Cut each 2″ Smoothfoam ball in half, sand any rough spots, and cut a small V-shaped wedge from the top of each half. Sand smooth the edges in the V.
2. 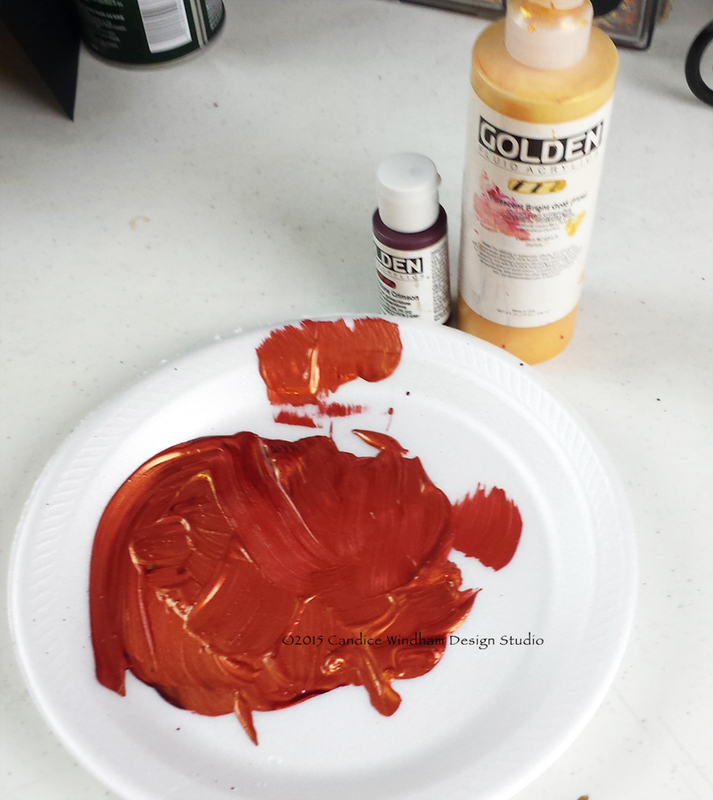 Mix the two paints (50/50) to create a metallic burnt orange shade. Insert a skewer into the flat side of each ball, making sure it doesn’t go all the way through and paint them front and back. Place the skewers into a wide-mouth jar, making sure the apples are not touching, until the paint dries. 3. 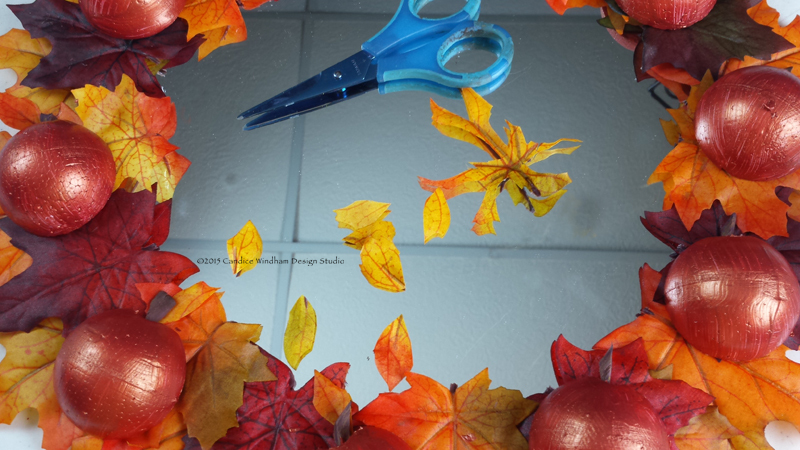 Cut the leaves from the floral stems and separate them into 3 sizes. Set one medium leaf aside to use to trim smaller leaves for the apples. 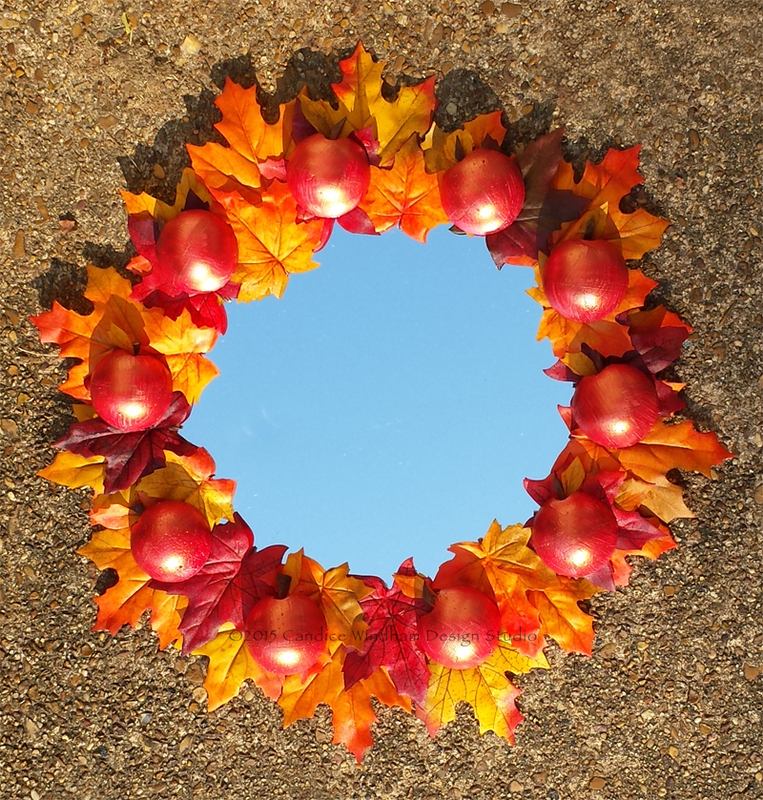 Glue the largest leaves around the mirror, about 1″ inside the edge. 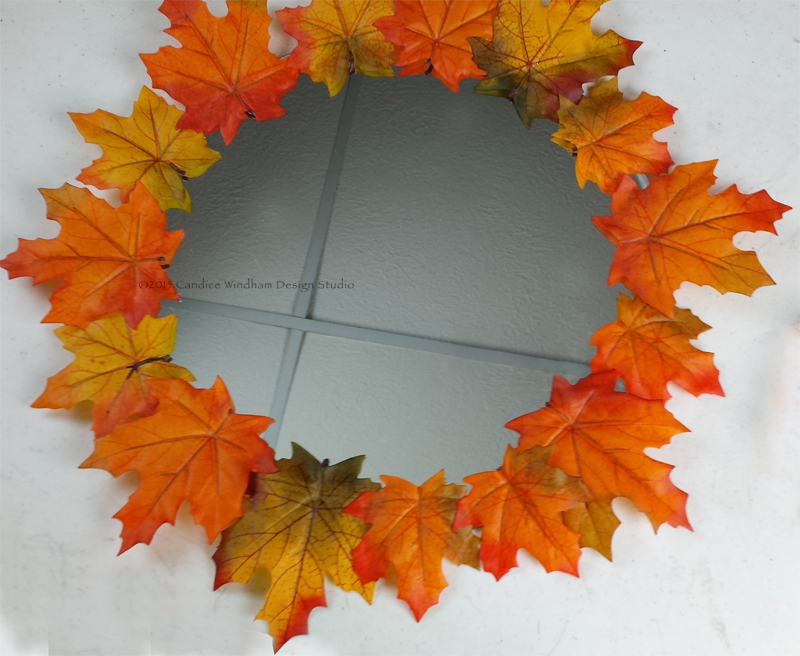 If you do not have enough large leaves to complete the circle, just add a couple of medium leaves, randomly but evenly spaced, and move them to the outer 1/2″ edge of the mirror. 4. 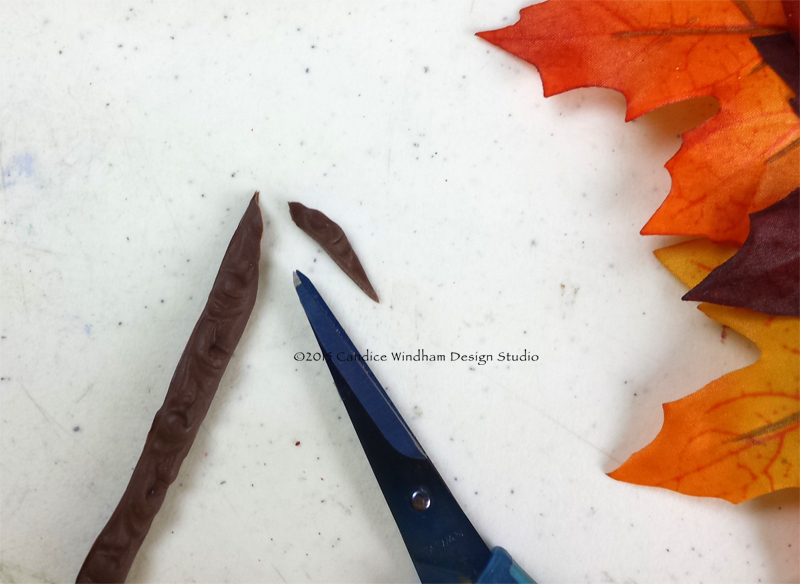 Repeat using the darker leaves and coming about 1/2″ farther into the center and press down for a few minutes to allow the glue to set. 5. Add more smaller leaves, again moving in another 1/2″. Press and allow to dry. 6. 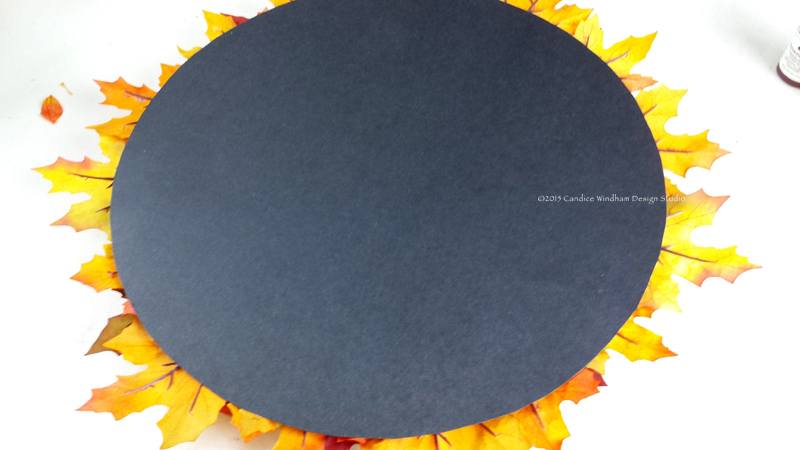 Trace a 12″ circle onto poster board with a plate or template. 7. 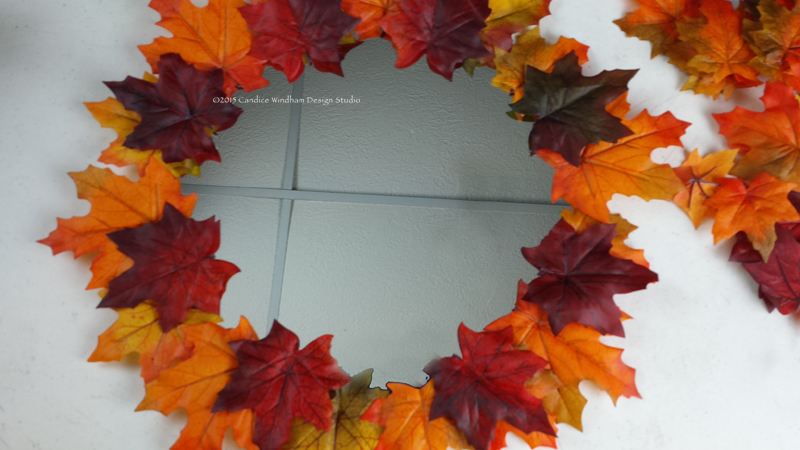 Trim out the circle and glue it to the back of the mirror. Attach a self-adhesive picture hanger to the upper center of the poster board. 8. Glue the apples on top of the leaf ring, spacing them evenly around and turning the tops either left or right. 9. Push some brown clay into the branch mold, then cut into small piecs to make the apples stems and sponge each stem with black permanent ink. Cut ten small leaves from the leaf you had set aside. Glue the leaves and stems to the top of each apple. 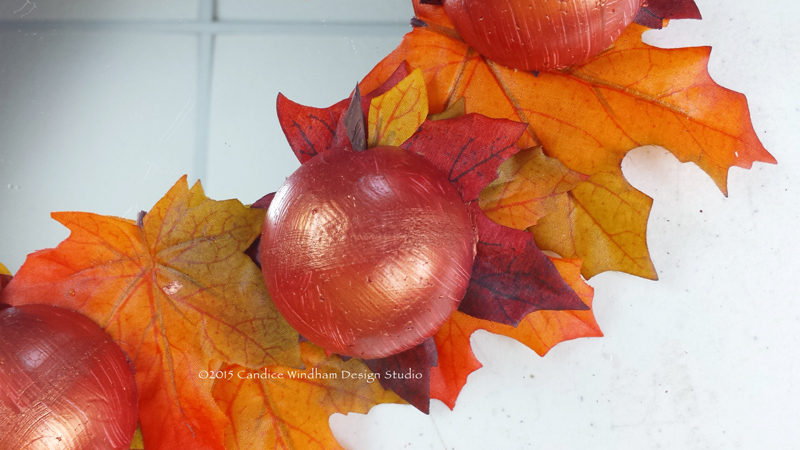 This entry was posted in Home Décor Crafts and tagged Ball, Fall, Orange, Wallhanging, Wreaths by Candice Windham. Bookmark the permalink. I love to paint, play with my pups, sing with my hubby (who makes everyone sound good), read, play with my camera and create interesting art out of nothing much.